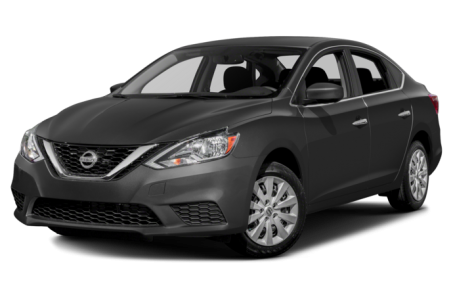 The 2018 Nissan Sentra is a compact sedan that competes with the Ford Focus, Honda Civic, and Toyota Corolla. In total, the Sentra has six trim level offerings: the S, SV, SR, SR Turbo, SL, and NISMO. Powering the base Sentra is a standard 130-hp, 1.8-liter 4-cylinder engine mated to a continuously variable transmission (CVT). The NISMO version has a more powerful 188-hp, turbocharged 1.6-liter 4-cylinder mated to a 6-speed manual transmission.